Bernardo A. Delicado has been a professional systems engineer for 25 years in the aerospace sector. For the first eight years he was employed by INTA, the aerospace agency of the Spanish government working on a great number of European research projects. Following that time, he spent twelve years with Airbus Defense and Space assuming a wide range of technical roles (specialist, systems engineer, chief engineer and head of technology) with transnational responsibilities within military aircraft programs developed among the UK, France, Germany, Italy and Spain. Five years ago, Bernardo moved to MBDA, a company formed by the merger of various European missile defense companies of Airbus Group, BAE Systems and Finmeccanica, where Bernardo is the Technical Director for the Systems Engineering capability to Spain with functional dependence of the Executive Group Technical Director in the UK, conducting a large part of his responsibilities embedded in multinational teams in France and the UK. From 1998 to 2014 he was a part-time visiting industrial fellow at several Spanish universities and from 2009 to 2012 led the start-up of an academic program in Spain on behalf of Airbus in “Aircraft Systems Integration” sponsored by Airbus Group for its newcomers and young employees to accelerate their immersion in the professional Systems Engineering and Systems Integration competencies. He has a M.S in Physics and a B.S in Aerospace Engineering. 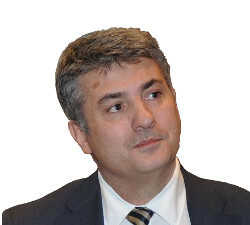 Bernardo is an active member of the International Council on Systems Engineering (INCOSE), founding member of AEIS (Spanish Chapter of INCOSE) in 2012 being its President from 2014 to 2015 ( two years ), is a Certified Systems Engineering Professional (CSEP) and member of the INCOSE Institute for Technical Leadership. 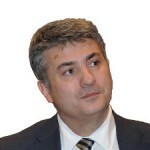 Bernardo was the only European member of Aerospace Systems Integration Working Group from the American Institute of Aeronautics and Astronautics (AIAA) and currently is member of Education and Workforce WG5 sub-group of the European Commission for its Strategic Research & Innovation Agenda (SRIA) for aviation industry. He received a BAE Systems Innovation Award in 2004 in the UK for his contribution in the Eurofighter Typhoon program. His current research interests are in the areas of Systems Engineering Competency, Technical Leadership and in the enablement of Systems Engineering at level of teams.